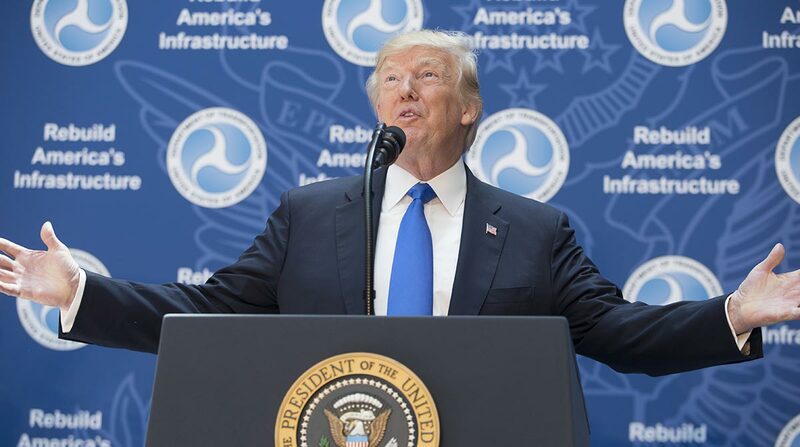 President Donald Trump was due to address the National Association of Manufacturers on Sept. 29, and discuss tax reform in a bid to boost economic growth. Trump will shed light on his plans to revamp the tax code at the meeting in the District of Columbia. Tax reform was one of the pillars on which Trump built his campaign. Trump is rallying for a 15% corporate tax rate. The current corporate tax rate is 35%. Taxpayers are waiting to see how the reductions will spread among companies, the middle class and the wealthy. The NAM board of directors consists of more than 200 of the nation’s top manufacturing executives, representing large and small companies across various industrial sectors. A House committee with jurisdiction over tax policy is poised to reveal a plan the week of Sept. 25 aimed at overhauling the U.S. tax code. The chairman of the tax-writing Ways and Means Committee, Rep. Kevin Brady (R-Texas), has indicated he is preparing a “bold” plan with the goal of assisting small businesses as well as corporations. “Pro-growth tax reform that would create jobs, increase paychecks and strengthen our nation’s economy,” he said recently.